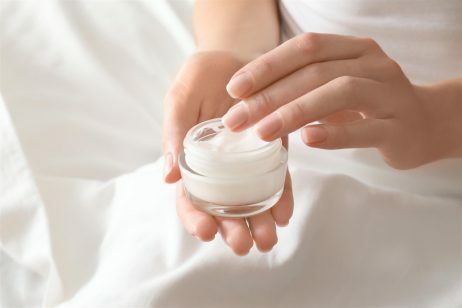 Sorbic acid is a preservative that is used in a variety of cosmetics and personal care products in order to extend the shelf-life by preventing microbial contamination. Sorbic acid, or 2,4-hexadienoic acid, is a straight-chained monocarboxylic acid. In 1859, German chemist A. W. Hoffmann first isolated sorbic acid by distillation of the unripe berries of the Sorbus aucuparia (mountain ash tree). This created parasorbic acid, the lactone of sorbic acid, which was then converted to sorbic acid by hydrolysis. Sorbic acid can also be synthetically produced through a different mechanism. Although sorbic acid was isolated in the mid 1800s, the antimicrobial activities of this ingredient weren’t discovered until the late 1930s. Subsequently, the effectiveness of sorbic acid as a preservative and its physiological safety were thoroughly studied. Sorbic acid became commercially available as a food preservative in the late 1940s. Since that time, sorbates have been approved for use as food preservatives in nearly all countries of the world. Then, beginning in the 1980s, sorbic acid and its various salt forms (i.e. potassium sorbate, calcium sorbate) were used as inhibitors of Clostridium botulinum in meat products to replace the use of nitrites, which can produce carcinogenic nitrosamines. Sorbic acid has been used as a preservative in cosmetics since the early 1960s. This ingredient is used primarily in the formulation of both leave-on and rinse-off products, for example, facial and eye makeup and skin care and hair products. As a preservative, sorbic acid is effective against small populations of common microorganisms that would normally be present in cosmetic products manufactured under clean, sanitary conditions. Sorbic acid has a broad spectrum of fungistatic activity, but it less active against bacteria. Optimum antimicrobial activity is achieved at pH values of 6.5 or less. Higher levels of sorbic acid are required when the water content is higher and storage temperatures are warmer. Sorbic acid can be metabolized by some species of organisms when they are present in extremely high concentrations. However, this situation should not occur when good manufacturing practices are employed. Preservatives have received a negative connotation in the cosmetic and skin care industry because of claims that preservatives are hazardous to health. This is why many organic and natural beauty brands often include “preservative free” claims on product labels. However, the use of preservatives is necessary in most products to prevent microbial contamination, as well as to prevent degradation by environmental factors such as heat, light, and air. 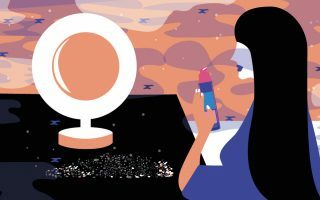 Most cosmetics have a high potential for microbial contamination and growth, especially creams and lotions that are packed in jars, opened frequently, and applied to the skin with the fingers. Another cause of inadvertent contamination is the use of makeup brushes around the eyes or other parts of the face that touch the skin and the cosmetic repeatedly. Each use increases the chance for contamination. Furthermore, contamination may occur if the consumer leaves a product container open for an extended period of time. Storage conditions are also a major cause of contamination in cosmetics and personal care products. Since the majority of products are stored at room temperature, the warm temperature can stimulate the growth of microorganisms. Furthermore, the ingredients used in cosmetic formulations, such as water, oils, peptides, and a variety of carbohydrates, create the perfect environment for microorganism growth. Microbial contamination can lead to significant health problems, from skin irritation to infections. All of these factors mean that a strong yet non-irritating preservative must be added to the formulation of a product to prevent contamination and degradation. Sorbic acid fits both of these criteria. The Food and Drug Administration (FDA) reviewed the safety of sorbic acid and determined that it is Generally Recognized As Safe (GRAS) as a preservative for direct addition to food. The safety of sorbic acid has been assessed by the Cosmetic Ingredient Review (CIR) Expert Panel. The CIR Expert Panel evaluated the scientific data and concluded that sorbic acid is safe for use in cosmetics and personal care products. According to EWG, sorbic acid is rated as a 3 on a scale of 1 to 10, with 1 being the lowest overall risk to health and 10 being the highest. References for this information: Wikipedia, “Sorbic Acid”, Eastman, “Sorbic Acid and Potassium Sorbate as Cosmetic Preservatives”, 1998, Truth In Aging, “Sorbic Acid”, Cosmetics Info, “Sorbic Acid”, EWG’s Skin Deep Cosmetic Database, “Sorbic Acid”.